John Adams and Mary Van Pelt are the 3rd great-grandparents of Richard, James, Gary, Lisa, Carl, Jane, Bruce, Cathy, Ron, Stacey, Matt, and Sandy, and the 4th great-grandparents of Asher, Owen, Emily, Jack, Jill, Jordan, Mike and Brian. Hiram Minard Adams and Mary Kiffler Lay are the great-great-grandparents of Richard, James, Gary, Lisa, Carl, Jane, Bruce, Cathy, Ron, Stacey, Matt, and Sandy, and the 4th great-grandparents of Asher, Owen, Emily, Jack, Jill, Jordan, Mike and Brian. Abner Chauncey Adams and Charlotte Lay are the great-grandparents of Richard, James, Gary, Lisa, Carl, Jane, Bruce, Cathy, Ron, Stacey, Matt, and Sandy, and the 3rd great-grandparents of Asher, Owen, Emily, Jack, Jill, Jordan, Mike and Brian. John Adams continues to be one of the most elusive individuals in my genealogical research. Is it possible to live in America’s third largest city and leave almost no trace? Apparently so. c1822-1825 – John (possibly John Hiram) Adams is born in the state of New York. Nothing has yet been discovered about his family origins. 1827 – The Village of Williamsburgh is incorporated within the Town of Bushwick. Within two years the village has a population of 1,000 and a thriving waterfront. 1835 – The population of Williamsburgh reaches 3,000. Of the village’s 72 streets, four are paved. c1835 – Mary Van Pelt is born in Queens, New York. There are a handful of Van Pelt families living in Newtown (present-day Elmhurst); is one of them Mary’s? 1845 – The population of Williamsburgh reaches 11,000. 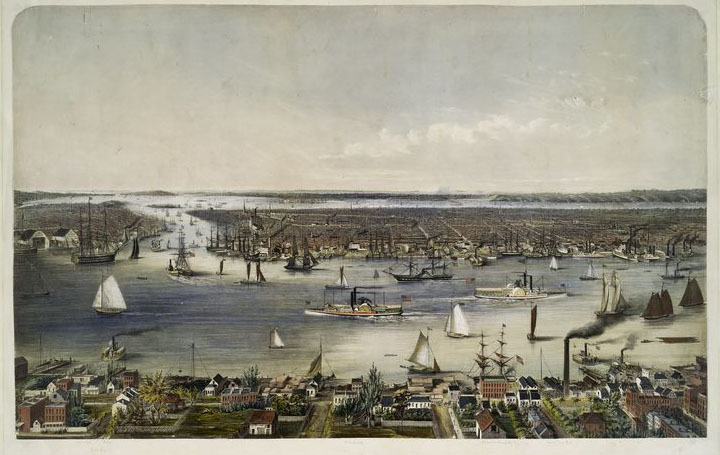 Manhattan as seen from Williamsburgh (foreground), 1848. Brooklyn is at left. 1850, September – John Adams is a ship’s carpenter living in a boarding house in Williamsburgh. Williamsburgh’s population has swelled to 40,000. 1852, January 1 – Williamsburgh is incorporated as a city. 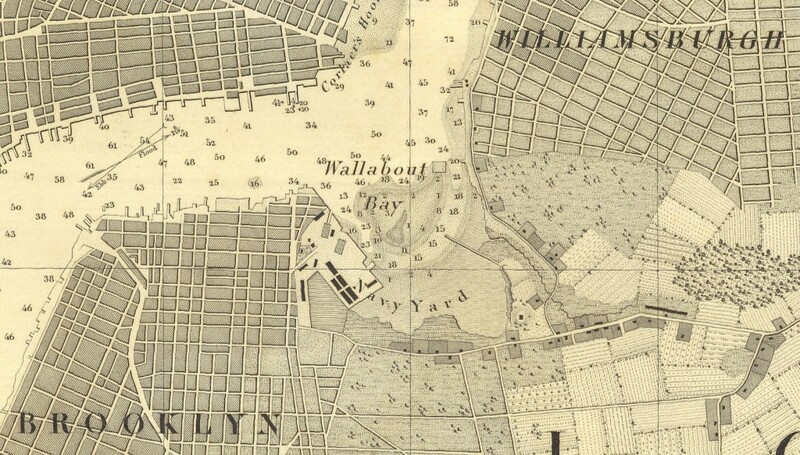 1853, December 26 – A feud between two rival gangs, the Cashes and the Gillians, erupts into a deadly riot in Williamsburgh. c1854 – John Adams and Mary Van Pelt are married. —-, November 7-8 – Williamsburgh suffers two days of bloody rioting as Irish immigrants clash with anti-Catholic Know Nothings. 1855, January 1 – The city of Williamsburgh, along with the adjoining town of Bushwick, is annexed into the city of Brooklyn, now the third largest city in the United States. Williamsburgh loses its final “h” at the time of the merger. c1856 – John and Mary’s first child, Jane, is born. 1857-58 – A second child, name unknown, is born. He or she will die before 1860. 1859, December 25 – A third child, Hiram Minard, is born. 1860, July 11 – John, Mary, four-year-old Jane and seven-month-old Hiram are recorded in the census as living in the 16th Ward, Williamsburg. John’s occupation is commercial seaman. c1861 – A fourth child, Mary, is born. 1863, July 13-16 – The Draft Riots in New York begin as an anti-conscription protest before turning into the most violent race riot in American history. 1,200 people are killed in New York and Brooklyn and Federal troops are called in to suppress the rioting. Thousands of African-Americans flee Manhattan for Williamsburg, where they are sheltered and protected by the German immigrant community. —-, September – A fifth child, Henrietta, is born. 1863-64 – Sometime between December 1862 and May 31, 1864, John Adams dies at about the age of 40, cause and location unknown. That John did not die in military service has been confirmed. He has not yet been found in any New York City-area death record or cemetery. All we know so far is that as of June 1, 1865, Mary reports in the New York State census that she has been widowed for more than one year. 1865 – During the summer, Mary Van Pelt Adams and her children move from an apartment at 95 Scholes Street to another in the rear of 81 Marshall Street, along the waterfront adjacent to the Brooklyn Navy Yard. Mary earns a living sewing furs. —-, September 29 – Henrietta, age 2, dies of convulsions due to whooping cough. She is buried on September 30 in a grave shared with two unrelated children in Brooklyn’s Cemetery of the Evergreens. Throughout the remainder of the 1860s and into the 1870s Mary and her family will rarely live at one address for more than a year. Mary will continue to take in sewing and also borders. 1865-66 – Sometime between June 1, 1865 and December 1866, William “Will” Adams is born to Mary. Will’s father cannot be John Adams but is otherwise indeterminate. Nothing is known of Will after 1875, but a 36-year-old woman named Rose Welch Adams buried alongside Mary in 1899 is almost certainly Will’s wife. 1870, June 25 – Mary and her children are living at 106 North 2nd Street in the 14th Ward. c1874-1877 – Mary and her children live in an apartment in the rear of 35 Scholes Street in the 16th Ward. 1875 – Hiram Adams, now 15, is working as a “bone turner” in a shop that makes ivory and bone handles for cutlery and toiletries. Jane, who would be about 19, no longer lives with the family; perhaps she has married. She remains untraceable, as does her younger sister, Mary. 1875-79 – Sometime before 1879 Hiram learns the printing trade and becomes a newspaper compositor. In his career Hiram will work for the Brooklyn Times-Union, New York Press and New York Evening Sun. 1879, March 13 – Hiram, 19, marries Mary Kiffler Lay, 17-year-old daughter of Williamsburg bricklayer Abner Chauncey Lay and Mary Ann Dunn Lay. —-, June 11 – Mary Van Pelt Adams dies in Kings County Hospital of cancer of the uterus. On June 14 she is laid to rest in an unmarked grave in the Cemetery of the Evergreens. 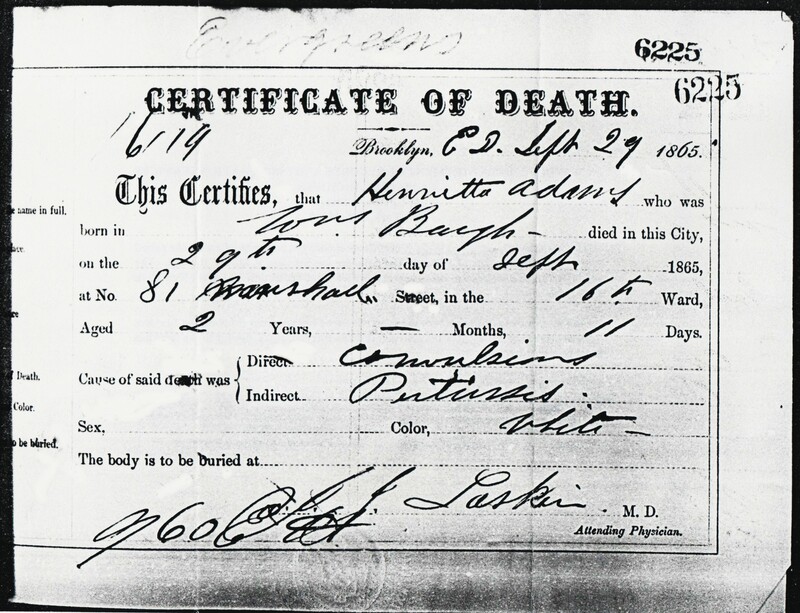 Birth certificate of Abner Chauncey Adams, 1880. Note errors in his and his father’s names. 1880, April 4 – Hiram and Mary’s first child, Abner Chauncey “Chauncey” Adams (1880-1966; our ancestor), is born at the home of his grandparents, Abner and Mary Ann Lay. 1882, January 17 – Henrietta R. Adams (1882-1943), perhaps named for Hiram’s late sister, is born. 1883, May 24 – The Brooklyn Bridge, 13 years in construction, is opened, joining the cities of Brooklyn and New York. 1886, March 15 – Ida Mary Adams (1886-1948) is born at the Adams’ second-floor apartment over a Chinese laundry at 329 South 4th Street, Williamsburg. 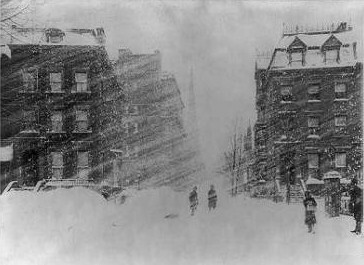 1888, March 12-13 – Temperatures plummet from the mid-40s to a low of six degrees with winds up to 80 miles per hour as “The Great Blizzard of 1888” cripples Brooklyn and New York, killing more than 200. One snowdrift in Gravesend, Brooklyn, measures 52 feet in height. 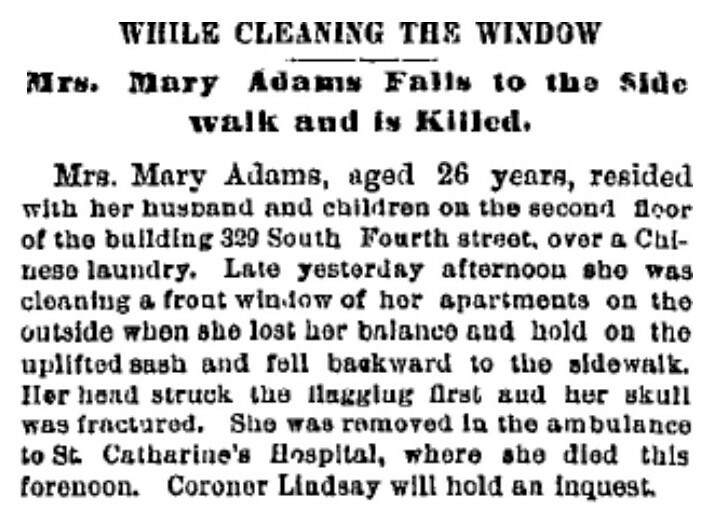 —-, May 15 – Mary Lay Adams, washing a window in the Adams’ apartment, falls backward from the window ledge and fractures her skull on the concrete sidewalk. She is taken by horse-drawn ambulance to St. Catherine’s Hospital where she dies the following morning at the age of 27. Mary is buried alongside Hiram’s mother in the Cemetery of the Evergreens. 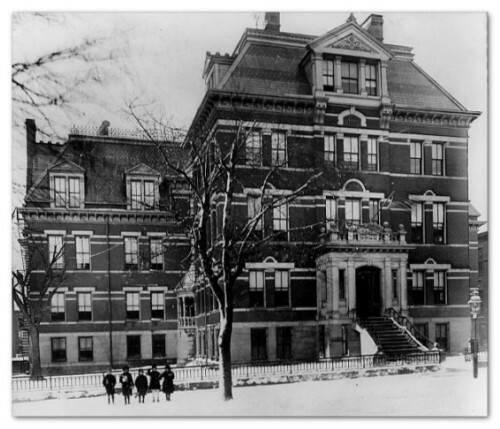 Sometime after Mary’s death Hiram will place Chauncey and Henrietta in the Brooklyn Industrial School Association and Home for Destitute Children at 217 Sterling Place, Brooklyn, an orphanage and boarding school for children whose parents cannot care for them, operated by a consortium of Protestant churches in the city. For a boarding fee of $3.00 a month, children at the school are taught carpentry and other trades (boys) or sewing and domestic services (girls). Chauncey and Henrietta will remain boarded at the school until they reach the age of 12; from the ages of 12 to 18 they will be sent, as are all the school’s children, to work as farm laborers or domestic servants. Because Ida is below the age of three and ineligible for boarding at the school, she is sent to live with the family of her maternal uncle and aunt, James and Ida Lay, in Williamsburg. The Lays, with only one small child at the time of Mary’s death, will keep and raise Ida with their own growing (ten children) family. —-, June 11-16 – Hiram is a delegate to the convention of the International Typographical Union in Kansas City. 1889, May – At the age of 29, Hiram, currently employed as a printer with the New York Press, is elected president of the Brooklyn Typographical Union. 1890, June 8 – Hiram, now 30, marries 18-year-old Elizabeth M. “Lizzie” Powell. In applying for a marriage license, Hiram erroneously gives his mother’s maiden name as “Mary Wycoff” [sic]. Wyckoff is a long-established surname in Brooklyn; could this be Mary’s middle name? A clue to her ancestry or extended family? 1890-1895 – Hiram and Lizzie have a child, name and gender unknown, who dies before 1900.
c1892 – Chauncey Adams is sent to work as a farm laborer in rural eastern Suffolk County. 1894 – The residents of Brooklyn vote by a narrow margin (64,744 to 64,467) to consolidate with the city of New York, effective January 1, 1898. 1895, February 4 – Hiram Minard Adams, Jr., is born. He will live to be 100 years old, dying on July 15, 1995.
c1896 – Henrietta Adams is sent to work as a domestic servant for a farming family in eastern Suffolk County. 1896, December – Edward Adams (1896-1913) is born. c1898 – Chauncey Adams, 18, is discharged from the Brooklyn Industrial School but remains in eastern Suffolk County. 1899, April 30 – Lillian Adams (1899-1992) is born. 1900 – Chauncey Adams is working as a laborer on a farm in Southampton. —- – Henrietta R. Adams, 18, is discharged from the Brooklyn Industrial School. 1901, February 18 – Grace Adams (1901-1901) is born. —-, April 11 – Henrietta R. Adams marries Harvey Lester Downs of Mattituck, Long Island, in Southampton. —-, August 21 – Grace dies at the age of six months. 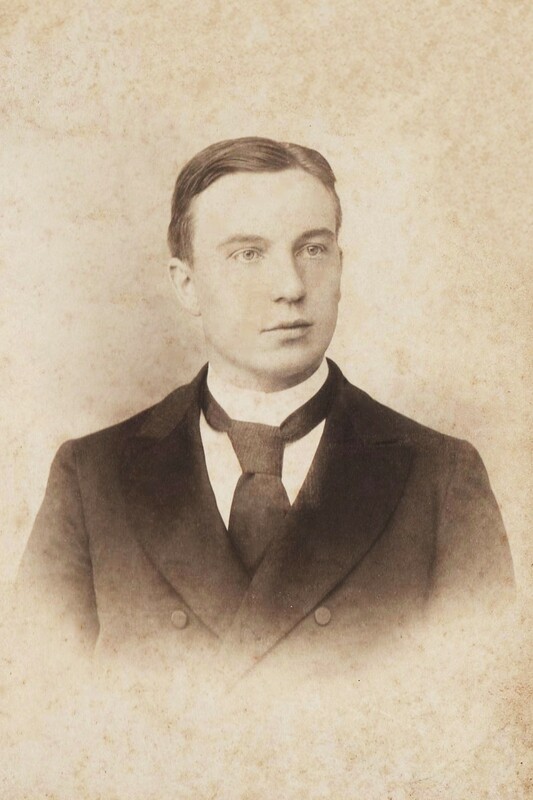 1902 – Hiram’s first grandchild, Harvey Lester Downs, Jr. (1902-? ), is born. —-, October 13 – Elizabeth Grace Adams (1902-1903) is born. —-, November 27 – Abner Chauncey Adams marries Charlotte “Lottie” Mull in Suffolk County. Lottie, 22, the daughter of commercial ship captain Benjamin Mull and Harriet Tuthill Mull. Lottie and Chauncey had met at the Brooklyn Industrial School, where Lottie had also been sent sometime after her mother’s death in 1881. 1903, June 21 – Elizabeth Grace dies of acute pneumonia at the age of eight months. 1904, April 28 – Hiram’s second grandchild, Ida May Adams (1904-1999), is born to Chauncey and Lottie Adams in Quogue, Long Island. 1904, May 7 – Clara M. Adams (1904-1995) is born. 1907, April 20 – Irene Elizabeth Adams (1907-1995) is born. 1908, October 8 – Gertrude Adams (1908-1997) is born. 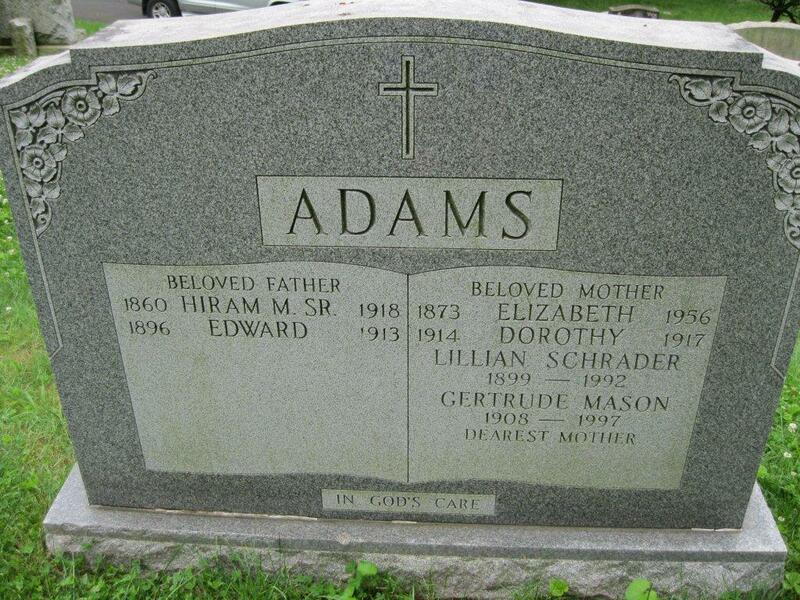 1910, April 10 – Hiram and Lizzie’s tenth child, Albert James Adams (1910-1910), is born at the Adams’ residence at 449 Bleecker Street in Ridgewood, just over the border in Queens County. —-, April – Chauncey is living on Oakwood Avenue in Sag Harbor, Long Island, and working as a baggage master for the Long Island Rail Road. His sister, Henrietta Adams Downs, is living on Union Avenue in Center Moriches. —-, July 14 – Hiram’s third grandchild, Helen Louise Adams (1910-1984), is born to Chauncey and Lottie Adams in Sag Harbor. —-, September 23 – Maetta Adams (1911-2001) is born in Ridgewood. —-, October 11 – Albert dies of pneumonia at the age of 6 months in Ridgewood. 1914, July 29 – Hiram and Lizzie’s 12th and last child, Dorothy Adams (1914-1917), is born. 1915, February 20 – Ida Mary Adams marries Fred Koerner Walther in Queens. 1916, September – Hiram’s fourth grandchild, Josephine K. Walther (1916-? ), is born on Long Island. 1917, June – Hiram’s son, Hiram, Jr., is working as a compositor for the New York Evening Sun. —- – Dorothy dies of diptheria at the age of three. 1918, January – The first case of what will come to be known as the Spanish influenza (known today as the swine flu) is observed in Kentucky. The first wave of the pandemic will reach New York City in March. —-, August 14 – A second, more virulent wave of the Spanish influenza reaches New York. As reported by the New York City Department of Health, influenza deaths mount weekly, peaking between October 5 and 19. 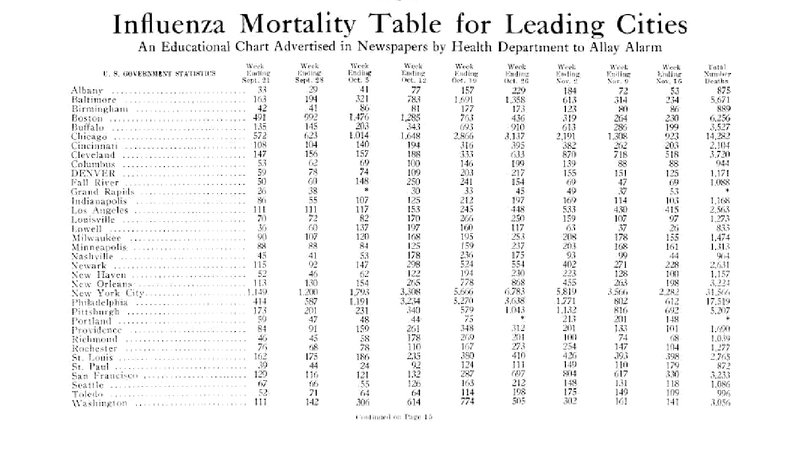 The flu will kill 4,514 people in Brooklyn in 1918. —-, October 18 – Hiram Minard Adams, age 58, ill since October 2, dies of heart failure due to influenza at his home at 132 Eldert Street. He is buried in Mount Olivet Cemetery in Maspeth, Queens. His widow, Elizabeth Powell Adams, will be buried alongside Hiram upon her death on May 5, 1956. 1919, August – Hiram’s fifth grandchild, Henriette Adams Walther (1919-? 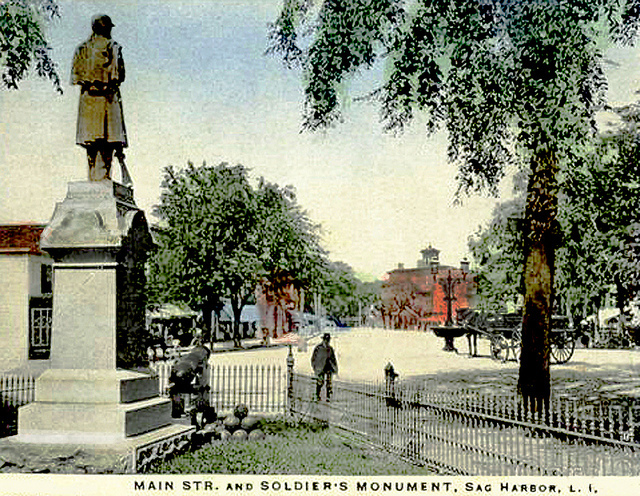 ), is born in Huntington Station, Long Island. Additional grandchildren, the offspring of Hiram and Lizzie’s children, will be born in the ensuing years.